The why is easy. The mantra of sustainability has shifted the way that companies, municipalities, and individuals do business. 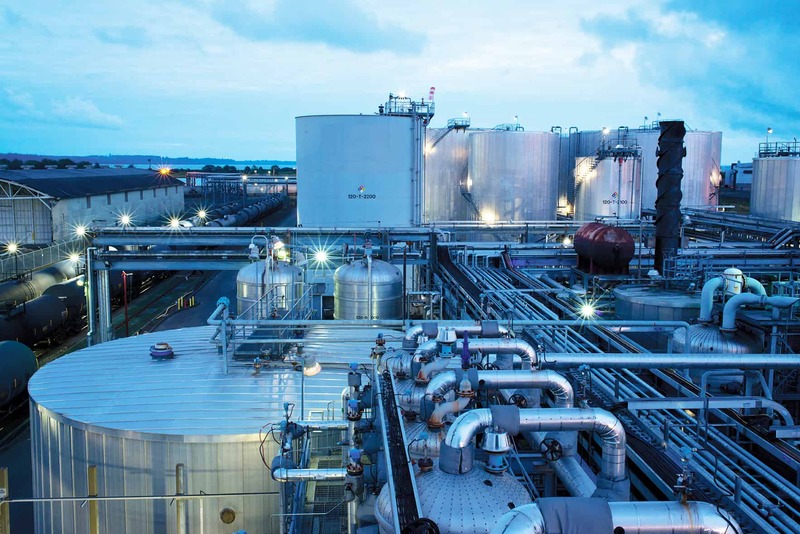 Growing customer demand for clean, renewable fuel sources—compounded by increasingly stringent regulatory standards—leaves little doubt that the transition to renewable fuels is not a market trend but a global movement gaining traction by the day. That’s why biodiesel has emerged as one of the fastest growing alternative fuels in the nation. And that’s why terminal operators need to know how to handle it. The how requires a bit more explanation. The first step is to assess whether your current infrastructure supports a biodiesel program. As B100 can be stored, pumped, and blended with equipment commonly found at many terminals today, some will be able to easily incorporate biodiesel with little or no modification. Others will have several infrastructural factors to consider for proper receipt, storage, blending, and transport of the product. B100 is produced in nearly every U.S. state and can be delivered via truck, railcar, barge, and in some instances pipeline. If delivery is by uninsulated railcar or barge, a steam system may be necessary to heat the product before it can be offloaded. Also prior to offloading, storage tanks and piping should be thoroughly cleaned of residue and mill scale, as B100 will act as a cleaning agent, dislodging sediment and potentially plugging strainers when first introduced. Desiccant filters should be installed in the vent system to eliminate moisture and prevent water and microbial contamination. As with any liquid fuel, proactive housekeeping practices are essential to the quality, stability, and cold temperature operability of the product. As it is recommended that B100 be maintained at pour point plus 10 degrees Fahrenheit or higher, heated and insulated fuel lines and tanks are necessary in cold to moderate climates. Common heating options include electric pipe insert heaters; a pre-heater and circulation pump; steam tracing; belowground storage; and ambient heating if storage and piping can be contained inside. For outdoor storage and piping, mineral wool and fiberglass insulation with aluminum or stainless steel jacketing are the most common ways to prevent heat loss. Ceramic coating is another proven (and typically more cost-effective) form of insulation. It can be shop or field applied (similar to paint) in most colors and with more or less thickness to achieve the desired R-value. To reduce heating and insulation needs altogether, B100 can also be blended in-line during offloading or blended upstream at a selected rate (B1-B99) and stored as a blended fuel. If blending is to occur on site, the preferred method is ratio blending, when B100 is added to the moving stream of the main product at the selected blend rate for the full duration of the load. A similar method is batch blending, when B100 is added to the stream at a higher volume than the selected blend rate for a shorter portion of the load. Both forms of in-line blending require separate meter and/or control valve systems for each product, though their configurations may vary. B100 can also be blended at the rack like a typical fuel additive using flow control technology, which allows for multiple blend rates to be loaded at a single rack. While sequential (or splash) blending—when one product is loaded at a time—is not optimal for biodiesel, it may be necessary when in-line blending is not available or when biodiesel and diesel fuel are loaded at separate locations. In these cases, biodiesel should be loaded on top of the petroleum diesel to prevent the heavier biodiesel from settling at the bottom of the tank. As with any method, both products should be blended at similar temperatures to promote homogeneity in the final blend. The appropriate blending method and associated infrastructural needs at your terminal will largely be determined by the volume of biodiesel throughput for a given time and projected future need. Volume should depend on factors including availability of B100 supply, customer demand, desired blend level(s), tank and space availability, and operational costs. To help accomplish your goals, there are many mechanical engineering companies available to tour your facility and make specific recommendations. Regardless of “the how” of your operation, it is strongly advised that B100 originate from a BQ-9000 producer who has met the quality assurance guidelines and certification standards established by the National Biodiesel Accreditation Program. More information and a list of biodiesel producers is available at www.biodiesel.org.